Wunderlich-Malec’s experienced engineers deliver practical solutions to your EPC project. We can supplement your existing team with specialized talent or take charge and effectively manage all aspects of your project, reducing your risk and exposure and streamlining project execution. Our EPC services group gives you a single point of contact and an owner for all project goals with the implied accountability. Our role is to provide Project Coordination of Engineering, Procurement and Construction activities as defined by the needs of your project. Our focus is to execute on-time and within budget, minimize delays and document, track and communicate progress. 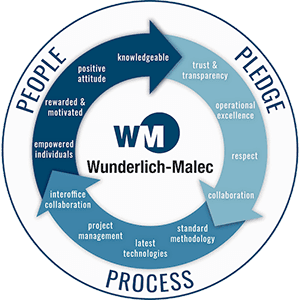 Wunderlich-Malec provides customers with value engineering, quality system integration, and innovative panel and control house solutions. As an experienced engineering company with offices throughout the United States, we are uniquely qualified to deliver value-engineering services that lower costs, improve quality and accelerate project schedules.